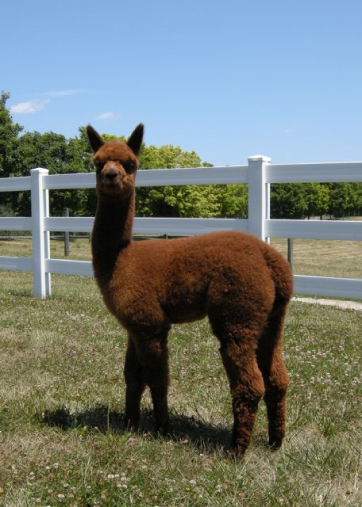 Morning Glory is a beautiful Dark Fawn proven female. 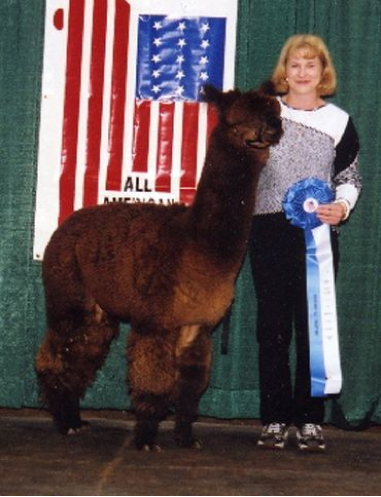 Her sire, Armstrong, has an impressive show record, winning 1st place at the 2002 MAPACA Jubilee,1st place at the 2002 All American Futurity, and a second place fleece award at the 2002 AOBA National Show. Glory's dam, 5 Peruvian Meredith, has been a consistent producer of show quality alpacas. 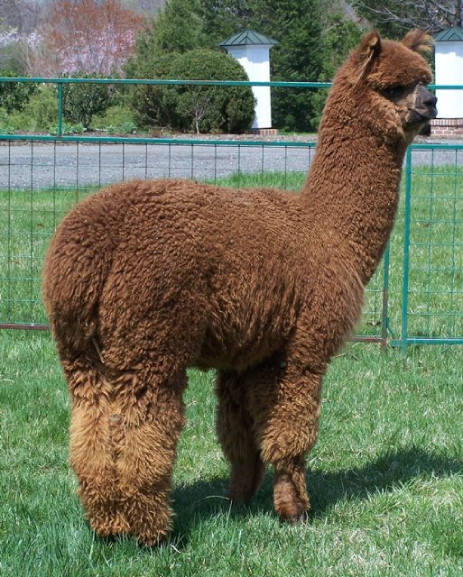 Morning Glory is ready to breed & sells with a free breeding to your choice of any of our award winning herdsires. We offer On Farm interest-free financing with a 25% down payment & financing for 24 months. Longer terms may be available on larger purchases.